We are experienced, forward-thinking and protective of your interests. Can anything better be said of a business partner? Very few things are more stressful and fiscally threatening than litigation that attacks a company’s products or methods of operation. As such, we strive to protect our clients’ business and reputation with a strategy we specifically design to match each clients’ objectives. 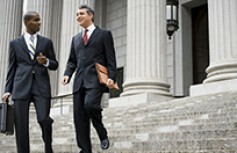 We represent a wide variety of business clients around the country and in state and federal courts. Our litigation strategy includes early evaluation of possible summary judgment or dismissal as well as alternative dispute resolution when appropriate. We work closely with experts to evaluate exposure and position the case for the best possible outcome for our clients.